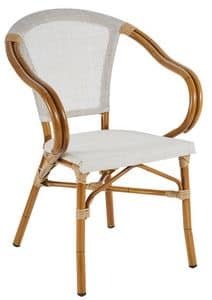 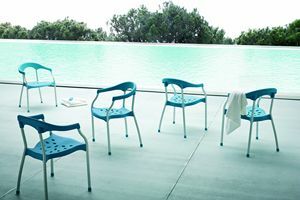 Outdoor chair with armrests. 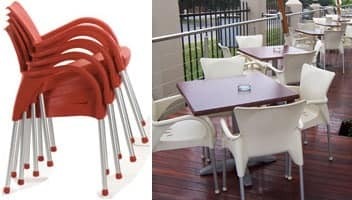 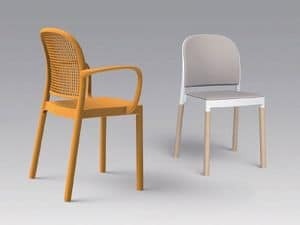 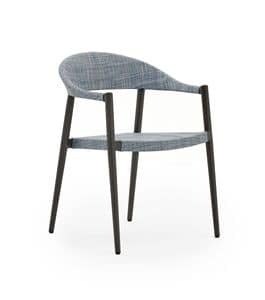 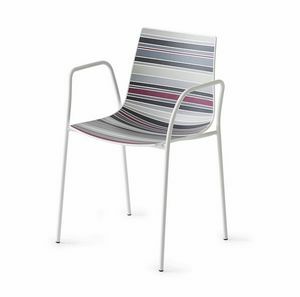 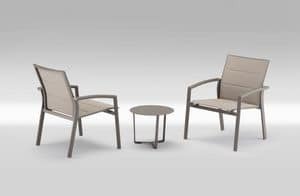 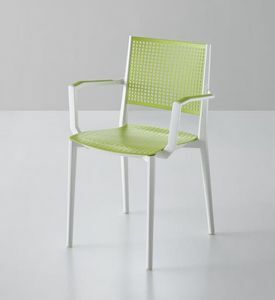 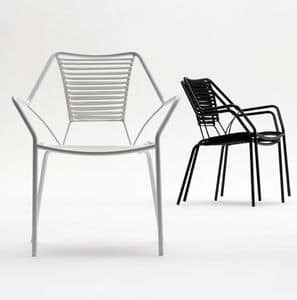 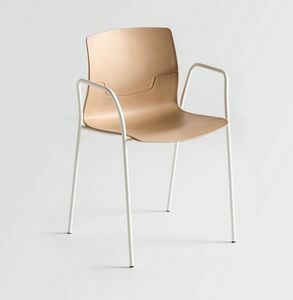 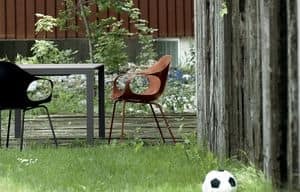 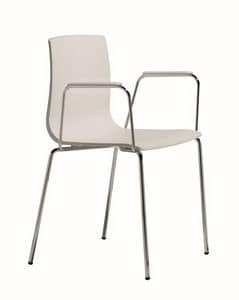 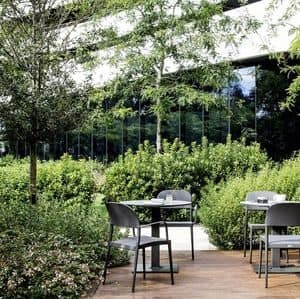 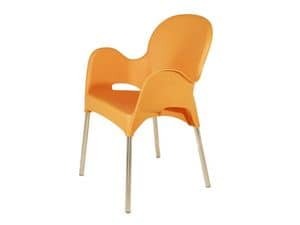 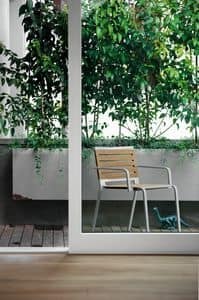 The chair Beverly has a soft and gentle line, stackable and resistant to all weather conditions, it is available in a wide ramge of colours. 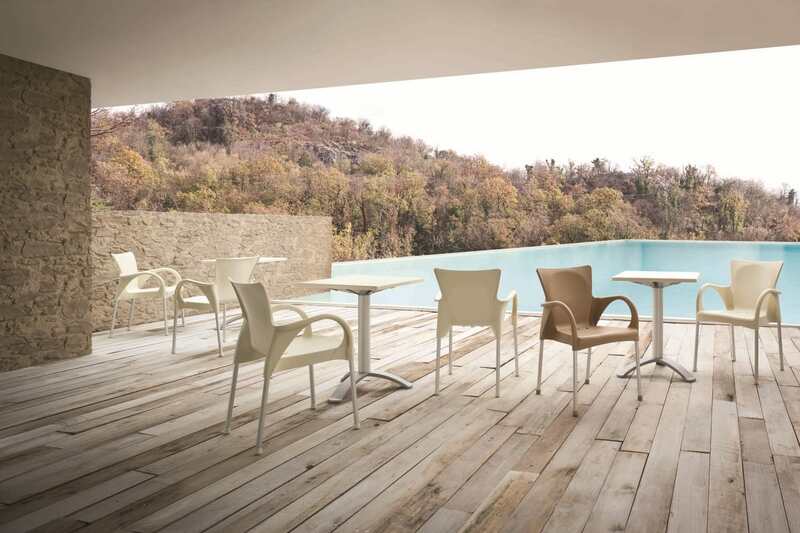 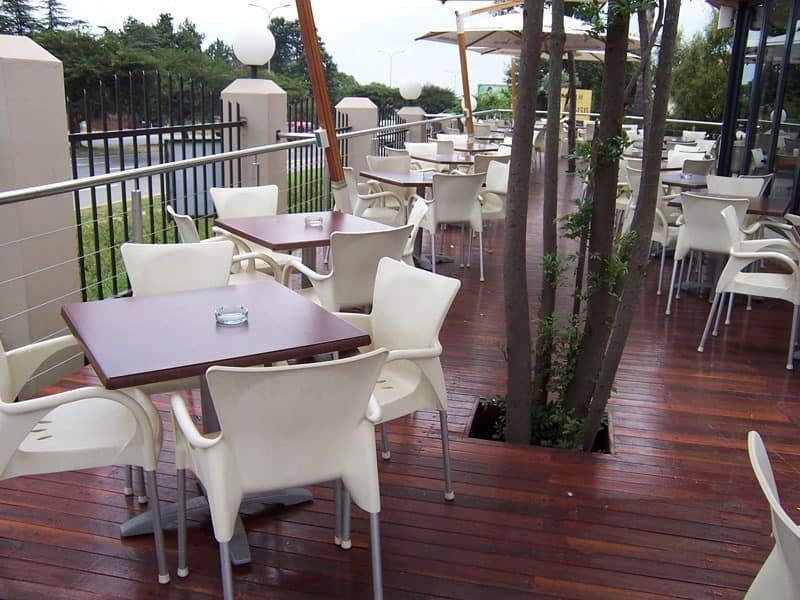 The Beverly is designed to resolve all the needs of community space, hotels, gardens, coffee shops, meeting areas. 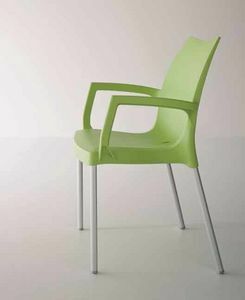 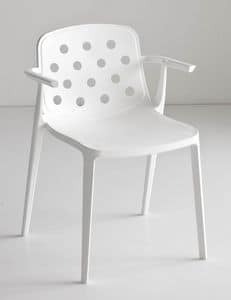 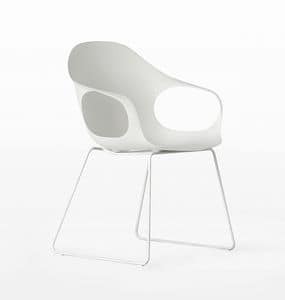 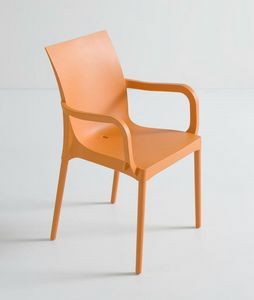 The body is made of polypropylene, the legs are made of anodized aluminium.